The beautiful Kent 0TH Slipper Cast Iron Bath comes with the option of two styles of feet in either chrome or cast iron should you wish to paint them to match the baths colour. Manufactured to the highest standards and guaranteed for 25 years. Please see additional images for feet options. 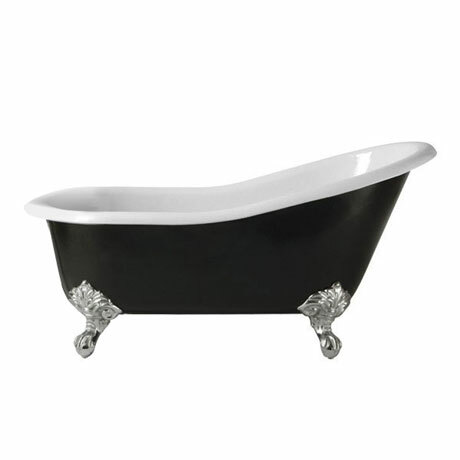 Bath shown in black with Imperial feet for illustration purposes only.